It’s not difficult to understand that having an intimidating presence in the paint will typically enhance a team’s defense. Not only do you have a center swatting and altering shots, but the perimeter players around him will have more freedom to take chances. They’ll have the piece of mind that getting beat off the dribble isn’t the end of the world. Taking more chances can lead to turnovers, runouts in transition, and consequently easier shots. Josh Nebo circa 2017 was the poster child of this philosophy, improving SFU’s defense by a staggering 23 points allowed per 100 possessions and helping the Red Flash become one of the fastest teams in the league. NEC coaches understand this concept very well. There are several intriguing shot blockers entering the fold, so allow me to discuss some programs and players that could turn the league into a giant block party. Sumbry’s defensive value, according to Mason, goes beyond the high number of blocks. While Wagner has been a defensive staple under Mason for several years running, Sacred Heart is keen on joining the Seahawks in the upper tier of defensive efficiency. The Pioneers welcome junior transfer Jarel Spellman to the fold, two seasons removed from an extraordinary sophomore campaign at Division II Florida Southern, amassing 104 rejections and the conference’s DPOY award to boot. Quite frankly, a player of this defensive caliper has never called Sacred Heart home. To Anthony Latina, having the 6-foot-10 Spellman in uniform for the upcoming season will be an exciting experience. “We saw a prospect that was unique for not only our program but for our league and he has done some things on both ends just by his size and his athleticism,” Latina said. It’ll be fascinating to see how Spellman impacts the Pioneers defense. Under Latina, Sacred Heart has never finished in the upper half of Division I basketball in block rate, or defensive efficiency for that matter. They could certainly use someone that may crack the 10.0% block rate threshold, especially given the Pioneers youth in other positions. For the Terriers, junior college transfer Christian Roehler will be asked to provide his best Amdy Fall impersonation for the 2018-19 season. Replicating Fall’s effort – he was a two-time NEC Defensive Player of Year in 2015 and 2016 – is a tall order, but Braica believes Roehler has a chance to positively impact the game for the Terriers. Those three seasons of defensive dominance – they finished in the league’s top 3 in defensive efficiency in league play each season – were obviously buoyed by Fall’s presence. Thus far, the reports coming in from the Terriers camp is that Roehler should see a considerable amount of time at the five. There are other Terriers who’ll challenge Roehler for playing time at the five – junior Cori Johnson and 6-foot-8 JUCO transfer and former Fairfield Stag Deniz Celen – yet you have to believe if Roehler adds a dimension to Braica’s defense, then he’s playing at least half of the team’s minutes. The Blue Devils are led in the middle by senior Deion Bute and his 35 blocks (5.2% block rate) from a season ago. The St. Maarten native has recovered from knee surgery in the offseason, as illustrated by his 25 minutes played in Central Connecticut’s recent exhibition. Full health and a dedication to protecting the defensive glass – something Donyell Marshall has identified that Bute needs to work on – should help the squad solidify a defensive attack that improved by 3.1 points allowed per 100 possessions in Marshall’s second year. 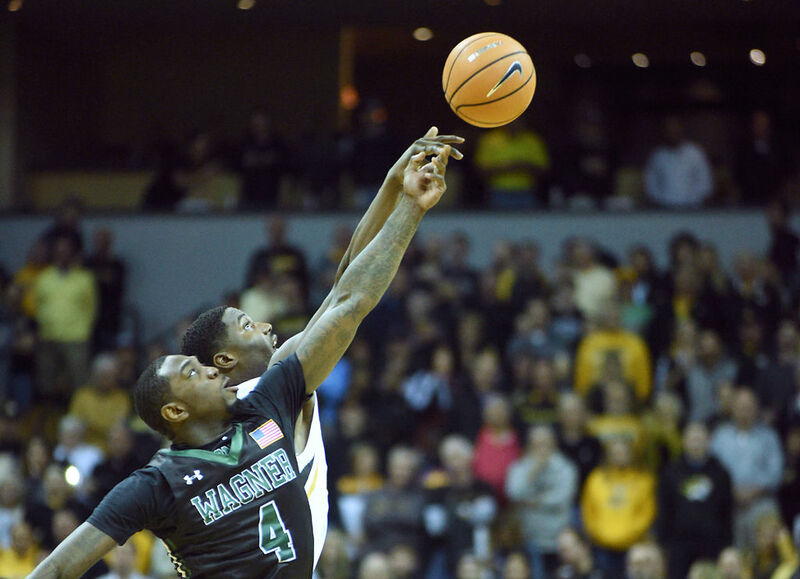 Freshman Karrington Wallace, a 6-foot-7 forward, has also been pinpointed as a player that Marshall may rely on to anchor the squad’s interior defense. His raw athleticism and ability to finish around the basket on both ends of the floor could make him part of the frontcourt rotation along with Bute, Joe Hugley and newcomer Jamir Coleman. This rotation has the potential to be the best Blue Devil frontcourt we’ve seen in quite some time. Nana Okopu, Mount St. Mary’s – As someone who once blocked 3.4 shots per game as a high school senior, Okopu has been targeted as a menace in the paint. Jamion Christian fully understood Okopu’s potential, and Dan Engelstad is thankful the red-shirt freshman has a long future ahead of him in Emmitsburg. Eral Penn, LIU Brooklyn – Penn is interesting as a high-flying athlete. He didn’t see a lot of playing time as a freshman, but still posted a 7.7% block rate. With Joel Hernandez, Zach Coleman and Jamaal Robinson all graduated, there’s an opportunity for Penn to log time in the Blackbird’s frontcourt, especially if he can make shots. 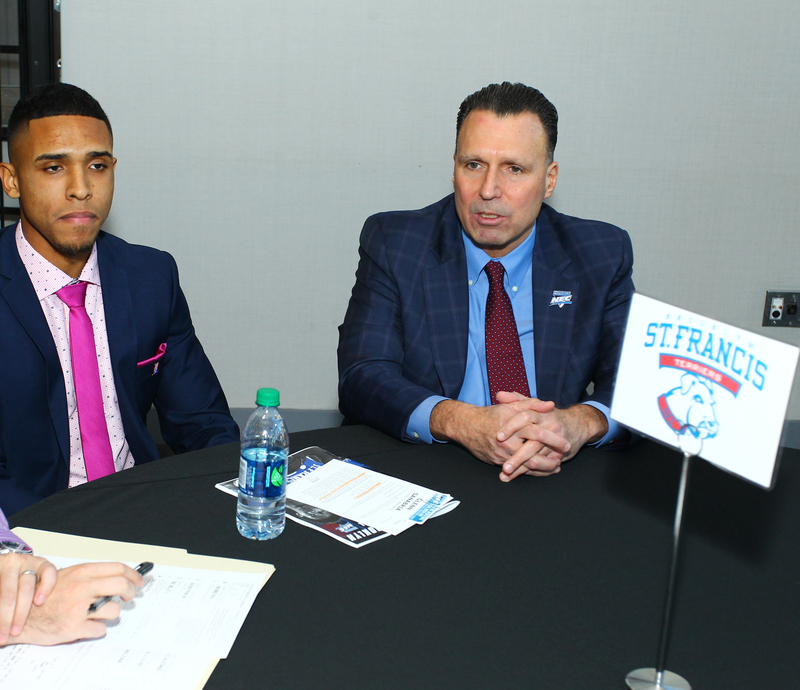 Christian Rohlehr comes to St. Francis Brooklyn from a D3 Juco Program and really isn’t that all experienced in organized basketball. He really started playing the sport as a high school senior. So expect Coach Braica to ease him into the frontcourt rotation. There’s no denying his credentials, though. Rohlehr twice led the NJCAA D3 in blocks, totaling 272 rejections. That comes out to over 5 blocks per game over that two year period. That total surpasses the current Terrier career blocked shots record which was compiled over a 4-year career. A thing that’s overlooked about Rohlehr is the progress he made during those two years as a scorer. As a freshman, he averaged 9.9 points per game. As a soph, he more than doubled that output to 20.8 points per game, while finishing Third nationally in NJCAA D3 field goal accuracy (59.6%). There’s a lot of potential there with Rohlehr. How quickly he adapts to the NCAA D1 level will likely impact the Terrier season.